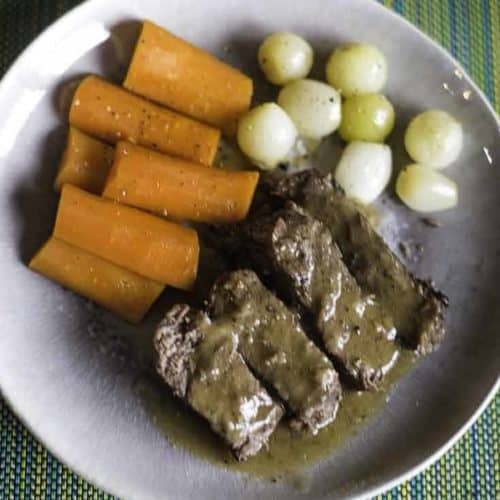 Home » Main Dish Recipes » Yankee Pot Roast – make a perfect pot roast with our recipe, it is easy to do. Yankee Pot Roast – make a perfect pot roast with our recipe, it is easy to do. This is a favorite of mine on a cold winter day! If you want a little extra flavor to your pot roast, try adding a cup of coffee during the baking process. Yankee pot roast is a favorite of mine on a cold winter day. Yankee pot roast is not only delicious; it’s the very essence of a New England kitchen. As essential to winter survival in that region as a warm pair of slippers and snow tires. 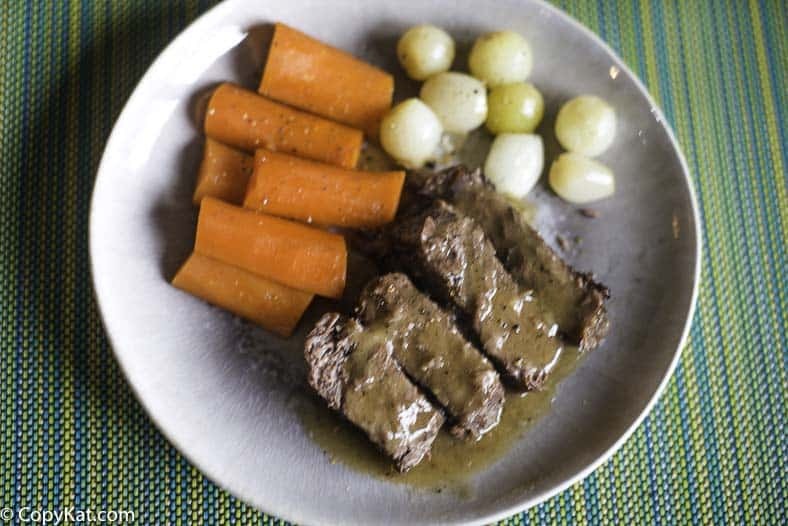 Leaf through any New England cookbook first published in the last hundred or so years and you’ll be hard pressed to discover one without a recipe for Yankee pot roast. 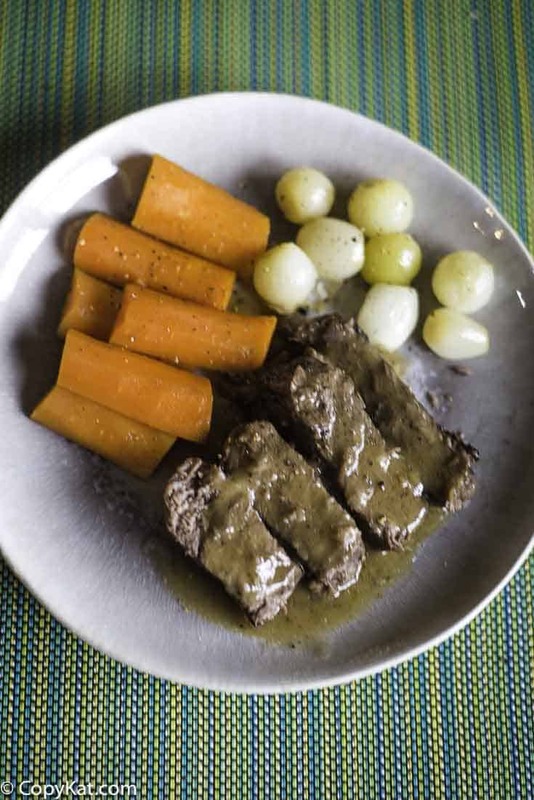 The dish is a classic combination of tender beef and seasoned vegetables in a rich sauce. American comfort food at its best. What is a Pot Roast? Pot roast is a term for browned meat cooked slowly with vegetables in a covered pot. This way of slow cooking meat in liquid is known as braising and is centuries old. Tough cuts, such as beef chuck, brisket, short ribs, pork shoulder, and lamb shanks are perfect for braising. All of these cuts are marbled with fat and have connective tissue that gets converted to gelatin during long, gentle cooking. This produces both tender, pull-apart meat and a smooth, silky sauce. What Makes a Good Yankee Pot Roast? Whether the name Yankee pot roast is a nod to the dish’s regional origins in America or (as some have suggested) a play on legendary New England frugality, a good Yankee pot roast emphasizes the traditions of simplicity and patience rewarded. Like any great masterpiece, a Yankee pudding, pie, or roast is not dashed off in a trice. But when the lid is lifted and the aromas drift through the kitchen, it is like the spring that follows a hard, cold winter. Make a perfect pot roast with our recipe, it is easy to do. Brown beef on both sides in a large heavy pan. Pour in beef broth. Cover and cook over low heat for 2 hours and 30 minutes. Add salt, pepper, rosemary, carrots, and onions. Cook covered for 1 hour longer or until vegetables are done. Remove beef and vegetables to a serving dish. Blend 1/4 cup of water with the flour; stir flour mixture slowly into pan juices. Cook stirring constantly, until gravy is thickened. Season with additional salt and pepper. Can you use cornstarch instead of flour? You can but you will have to add it to cold water and stir it very well before you add it to the pot.